(Big Rapids, Mich.) Dinner tickets and golf spots are still available for the Outing and Induction Ceremony for the Michigan Golf Hall of Fame (MGHOF) on June 5 at Katke GC in Big Rapids. Commencing with an optional 18-hole golf outing, the day honors the induction of Ken Allard, Todd Anderson, Steve Braun, and Dr. Joseph Vargas along with special recognition for Oakland Hills Country Club. Allard is a three-time Michigan PGA Professional champion, Anderson is the 2010 national PGA of America Teacher of the Year, Braun is a junior golf leader and Golf Association of Michigan President, and Vargas is a nationally recognized turfgrass authority from Michigan State University. This foursome will give the Hall of Fame 113 members when they are inducted. Celebrating its centennial this year, Oakland Hills will be honored for its outstanding record of hosting 15 major golf championships including this summer’s U.S. Amateur. The golf outing begins with a 11 am shotgun start at Katke GC, which will serve as the new home of MGHOF when the clubhouse is expanded. The cocktail hour will begin at 4 pm with the dinner and induction ceremony taking place at 5 pm. 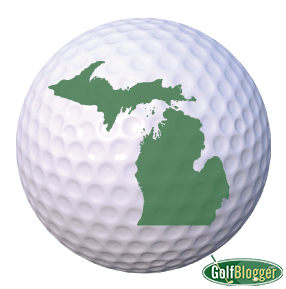 The Michigan Golf Hall of Fame is administered by the Michigan Golf Hall of Fame Committee, which is funded through the non-profit Michigan Golf Foundation (501(c) (3) and includes 18 members representing a cross-section of the state’s golf associations as well as the golf media. The MGHOF committee conducts an annual election to recognize the achievements of competitive Michigan golfers, but also those of individuals who have contributed to the growth of the game.